The Hotel Riu Palace St. Martin, situated on a beautiful beach on the Caribbean island of St. Martin, is the perfect place for a dream vacation and it’s ready for you to enjoy all the amenities and services RIU offers to its guests. Opened in 2014 is RIU’s first hotel on the island. Located in the beautiful cove of Anse Marcel brings the opportunity to enjoy a natural reserve with its unique flora and fauna and also the sandy white beach with dream-like turquoise waters, ideal for relaxing and practicing water sports. 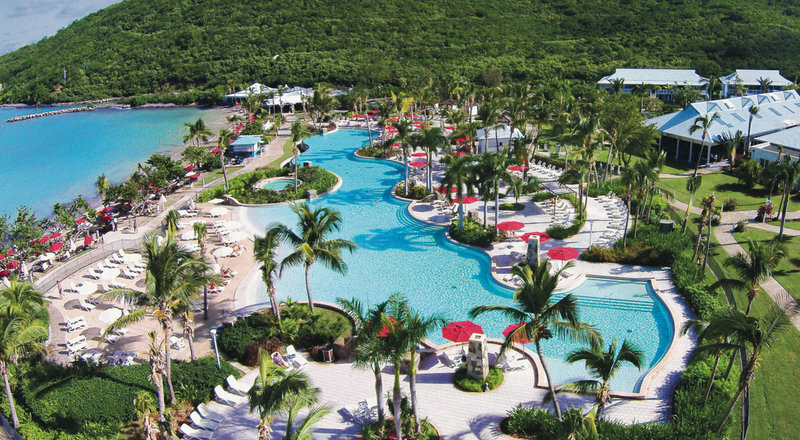 The resort has a beautiful infinity pool with a children’s section. Free sun loungers, towels and parasols by pool area, sun terrace, non- motorized water sports including windsurfing, sailing, kayaking and one introductory scuba lesson, free gym and the luxurious “Renova Spa” with a variety of treatments, hairdresser and massages (additional charge). The Miniclub is the daytime entertainment program for children 4-12 years of age. Where they will make new friends and have tons of fun. Several times a week there will be daytime entertainment for the adults along with live music in the evenings. The 252 junior suites have a bathtub and shower, mini-bar, liquor dispenser, safe and free Wi-Fi along with 24-hour room service, Satellite TV (flat screen), turn down service. The 4 hotel restaurants will delight you with a wide variety of flavors from the rich and colorful Caribbean cuisine to the international dishes prepared daily by chefs. The “Krystal” Fusion restaurant, “La Mer” French restaurant, “L’Île” Grill and steakhouse along with the buffet restaurant make up your dining options. The Daiquiri” lobby bar and snack bar, “Calypso” lounge bar with terrace, “Coco’s Bar” poolside bar/beach bar all will be serving your favorite beverages.